It was interesting to make this purely with clay – no fabric, unlike the earlier pieces. Will she/won’t she pick that apple? 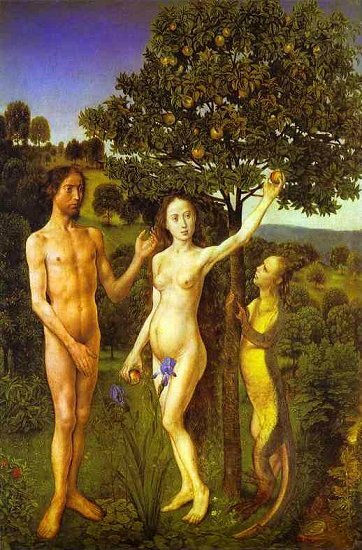 See the exquisite painting by Hugo van der Goes (1470 approx) for more about that serpent with limbs…. This entry was posted in Uncategorized on June 6, 2015 by chestnutandhazelnut.